When you are trying to buy the market's best stocks, it's worth checking up on your companies' free cash flow once a quarter or so, to see whether it bears any relationship to the net income in the headlines. That's what we do with this series. Today, we're checking in on Sapient (NAS: SAPE) , whose recent revenue and earnings are plotted below. Over the past 12 months, Sapient generated $77.9 million cash while it booked net income of $62.9 million. That means it turned 6.8% of its revenue into FCF. That sounds OK. 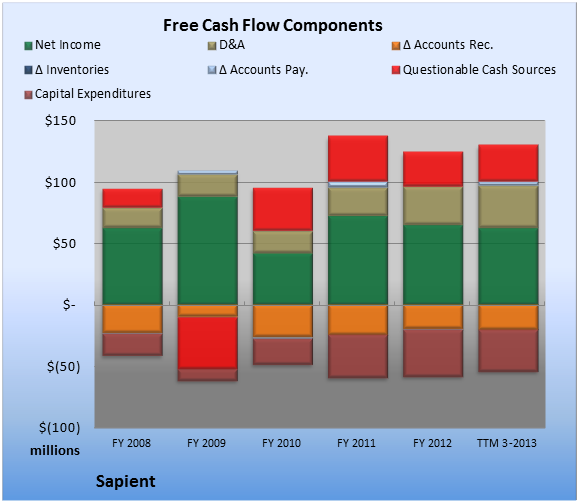 So how does the cash flow at Sapient look? Take a peek at the chart below, which flags questionable cash flow sources with a red bar. With 26.6% of operating cash flow coming from questionable sources, Sapient investors should take a closer look at the underlying numbers. Within the questionable cash flow figure plotted in the TTM period above, stock-based compensation and related tax benefits provided the biggest boost, at 13.6% of cash flow from operations. 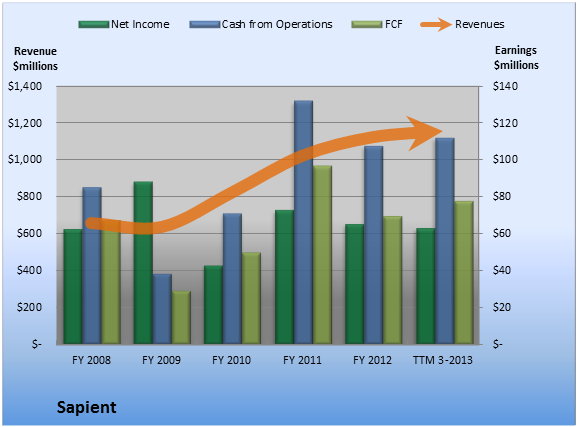 Overall, the biggest drag on FCF came from capital expenditures, which consumed 30.4% of cash from operations. Is Sapient playing the right part in the new technology revolution?  Computers, mobile devices, and related services are creating huge amounts of valuable data, but only for companies that can crunch the numbers and make sense of it. Meet the leader in this field in "The Only Stock You Need To Profit From the NEW Technology Revolution." Click here for instant access to this free report. Add Sapient to My Watchlist.  The article 1 Thing to Watch at Sapient originally appeared on Fool.com.